Wine, Tartlet & Dessert Pairing. Get FREE delivery to your home or office when you order a collection of 10 or more. Order via; text, IM on Instagram or order on line at the button below. Thank you for keeping your tartlet box & accoutrement for your next delivery. GRANTS PASS, OR: Please email or text to set up a delivery..
"I have to admit, this is the tartlet that drew me in when I first tasted Wendy’s tartlets. The crust is crispy and wholesome (maybe it’s because the germ and bran are included! ), and the tart had an over all sweetness from the vegetables (but not too sweet). It felt more dainty than the rough and tumble bean and quinoa tart. I felt like I could serve it as an elegant side dish at a meal." Recorded while we were doing The Good Food Mercantile 2017 in San Francisco. "Caity and David interview Wendy Testu from The Rogue Traders (a farm-fresh frozen tartlet company) and Sue Sturman from Academie Opus Caseus (a cheese travel organization and cheese-making school). They discuss their enterprises and the value of the Good Food Mercantile community, emphasizing the community’s commitment to standards, to a way of looking at fresh, artisan food, and to each other as producers and experts of good food." The only garage winery in SF! The passion project of Barbara Gratta. The New York Times & Eater SF love @grattawines! Dubbed as one of the 5 places to go drinking in SF. If you’ve been in this city a while, you’ll appreciate how Gratta feels like the old school SF. Not too fancy or pretentious. Good wine & great people in The Bayview. Join us for our valentine wine & tartlet dinner pairing with @yespudding. Be your own valentine or bring one. Sip, Shop, Dine And Cozy Up To The Fire! DIY Wreath Making Project with UFG, Christmas photo booth in Bonnie the Camper Van, and an Ugly Christmas Sweater contest! Thai Artist in Residence Sasinun Kladpetch - pop up gallery show, serving tartlets and Aesop Wines. of limited edition Tartlets and Austin Press goodies! with tartlet meals for guests or parties. The perfect apothecary gifts are also waiting: handmade candles & letterpress cards, soaps, perfume, gold foil gift tags and more. for your viewing and purchasing pleasure. Come on down and enjoy the sale! A Monthly Facebook Community Event at FB Headquarters June-October. Our booth is in the farmers market section. This is a FREE family event. Live music, free kids zone, food trucks, bars, beer garden, three stages with live music and performances. Proceeds benefit different non-profits in the local community each month. 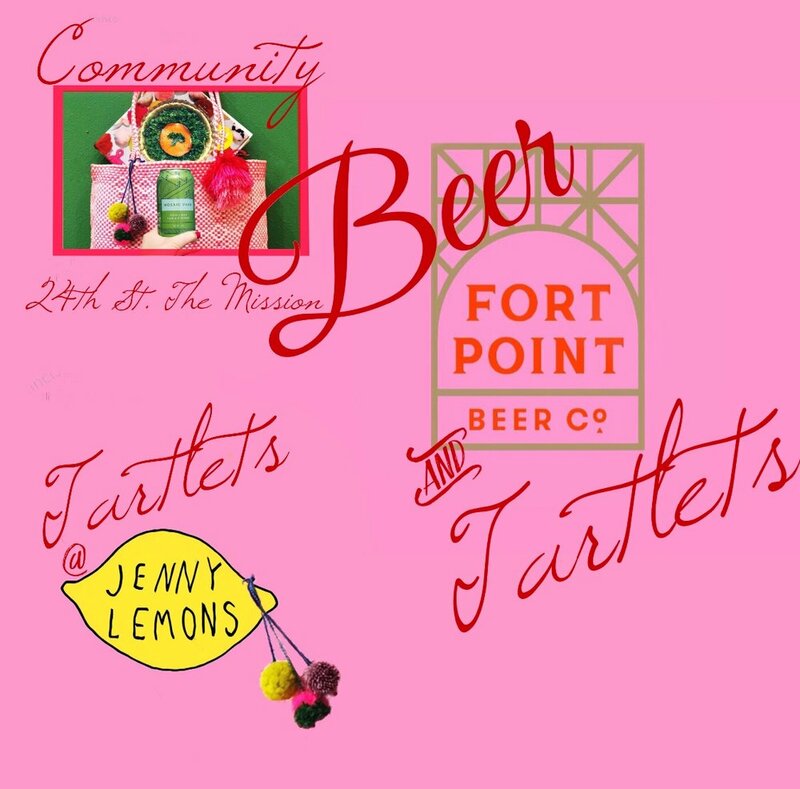 Come meet your neighbors, sip on beer provided by Fort Point, enjoy tasty tartlets by The Rogue Traders and make something with us! It's that time of year again, you know what to do. Order a 10 pack and we'll deliver for FREE in SF or pick up at Austin Press Studios SFMade Event May 12th, just in time for Mothers Day. Many many thanks and much love to one of my favorite mother / daughter combos Mera & Soli. We have a full line up for the next month, come check us out at one of our tasting events below, taste & take a tartlet collection home. Above is our limited edition gluten free mousse tartlet (vegan option available) not sold in stores. We'll be special guests again at the gorgeous studio of Austin Press. Mother's Day gifts will be prime for the picking. And we'll be serving Red Lily wine, also from The Rogue Valley. Taste, sip and take home a tartlet collection for mom. Our artist crew will offer letterpress ephemera, candles, soaps, perfume, exquisitely hand forged jewelry, tartlets all with vibes by LilG. Always vegetarian with vegan, gluten free & dairy free meal options. Ask for the Tartlets in the frozen section. The Ruby is a gathering and co-working space in The Mission District of San Francisco for creative Bay Area women of all definitions. We love the community at The Perform For Life Gym's in San Francisco! They do personal training for everyone. Thank you for including us in the celebration Justine, Bryant & baby! A benefit for The Boys and Girls Club of The Rogue Valley. We served 600 people tastes of our Frenchy Tartlet, it was a first for us. Now we know we can pull it off. So thankful for the crew! @Rainbow Grocery Co-op in San Francisco. Contact us HERE, we'd love to feed your hungry employees. We love bringing healthy, easy, affordable fast food to the hungry startup world! A creative work space for designers, artists, makers and thinkers. We'll be serving tastings or purchase a tart to eat at the party. You can even take some home for your own tartlet holiday party or just for when your desperate to eat something healthy and don't feel like cooking. YESSSS it’s been years since I’ve done open studios! Back in the day it was raku sculpture, immersive installation work, video production, graffiti art & community engagement. You name it I’ve probably done it. I’m thrilled to be sharing Kim Austin’s studio; Austin Press this coming weekend in San Francisco: As you know my art form is now food & farming. Tartlet Collections to be exact. Eat them at the event or take some home for later. We’ll have our three classic flavors for sale & a handful of our fourth flavor, the latest Muse Tartlet - roasted tomato & fromage blanc, from By George Creamery, with walnut pesto. Kim’s work ranges from gorgeous letterpress & hand blended apothecary items; perfumes & candles to pretty little objets d'art. We're raising the bar on concessions food! Don't you wish all theaters had food this good & this healthy! Yes! We are ecstatic to have all Tartlet styles on the shelves at Rainbow & they will be ON-SALE the entire month of May! Look for the 3 red boxes in the freezer section. Order our CSA Tartlet Collections on line or at the market. 12 pm until we run our of samples - come grab a tartlet for lunch or dinner, they'll be on sale! This time we'll be tasting our Bean & Quinoa (Vegan /Gluten Free) Tartlet, shown in the photo, and our classic French Style Tartlet. Other Avenues Grocery Co-op: The first and the original co-op in San Francisco since 1974. Order by February 6th for Valentine Day delivery. "The Good Food Mercantile is limited to 125 food producers who have placed in the Good Food Awards or passed the sustainability vetting process to become a Good Food Guild Member, ...it is an opportunity for thoughtful, responsible American food crafters to connect with the growing community of retailers that value quality, care and craftsmanship." 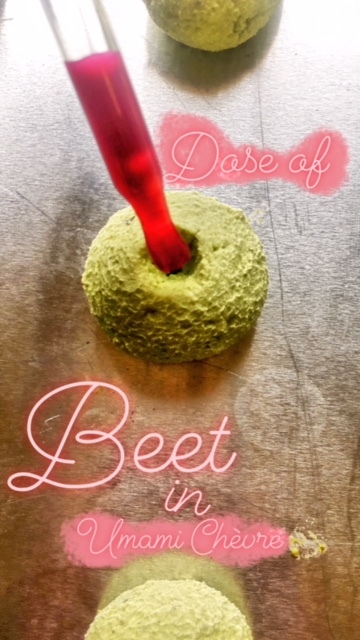 We started our online store, & what started as a small market test became a sold out affair of our holiday gift boxes, we were accepted into THE GOOD FOOD MERCHANTS GUILD, we got into our first store in San Francisco, and created our second tartlet flavor; the vegan gluten free bean tartlet. We're on a roll and it's all thanks to all of you! 🙏🏾 We love & appreciate all of you so much!!! #BeRogue in this new year! 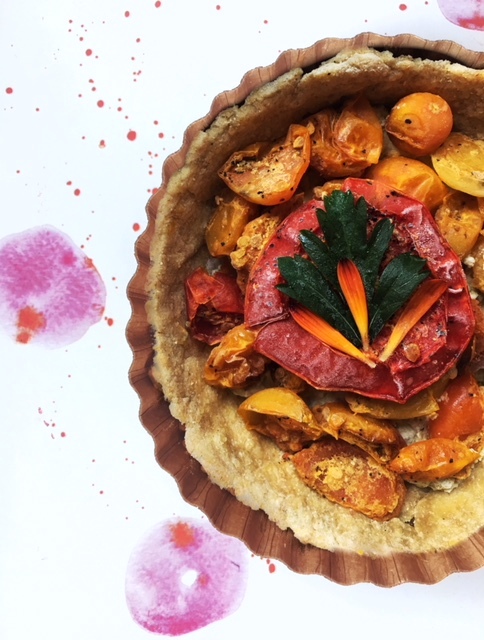 What better way to kick off cyber Monday then shopping direct from a small farmer and food producer for your holiday gifts. .
Online savory tartlet orders are now ready. $15 shipping to Oregon, Washington & California in 2 days. We ship on dry ice. and she let's me take pictures of her. 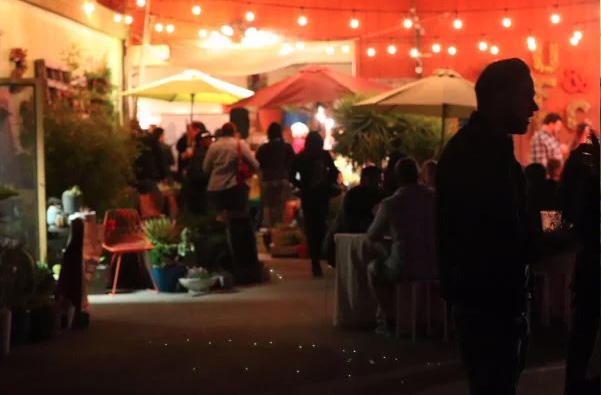 Our tarts will be served at the Eat Real Festivals pre-party at Cerruti Cellars in Oakland. 6pm. Our good food is now part of the Good Food Merchants Guild! The Good Food Guild seeks to recognize the very best in socially and environmentally responsible food production. Currently a collective of 700 businesses, repping 47 states; many are current or past winners of Good Food Awards . The good people at the Good Food Awards in San Francisco don't have a category for frozen food yet, but we started the conversation with a tasting of our tarts. It looks like they liked them! It Makes us so very happy! 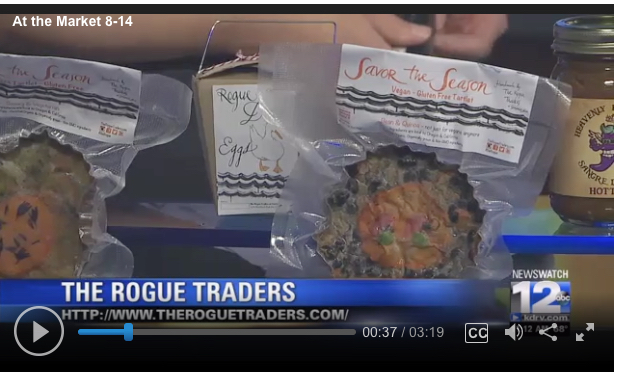 A nice little spot on the local news in Southern Oregon about The Rogue Traders, the tartlets, our pastured Rogue duck eggs and the Rogue Valley Growers Market. The only garage winery in SF! The passion project of Barbara Gratta @grattawines. .Be your own valentine or bring one.